The Pixio PXC32 offers the perfect set of specifications for someone looking for a big curved screen with a gorgeous image quality and smooth performance – for a reasonable price! This Pixio monitor actually features a VA panel by Samsung with a superior 3,000:1 static contrast ratio, a decent 280-nit peak brightness, 178-degree viewing angles, and a 4ms response time speed. In comparison to TN and IPS panels, the VA provides the best contrast which results in exceptionally deep blacks. The colors may not be as accurate as that of an IPS panel, but they are undeniably rich and vibrant. Furthermore, thanks to the 178-degree viewing angles, the picture won’t shift in color or contrast when watched from the sides or above/below. The WQHD resolution, or 2560×1440, provides a crisp and clear picture even on a huge 32″ monitor. In fact, you’ll get roughly the same pixel density you’d find on a 24-inch 1080p monitor. The weakest point of all VA panels has always been the response time speed. Once you enable the OverDrive setting in the OSD (On-Screen Display) menu, the response time speed will be set to 4ms (gray to gray). 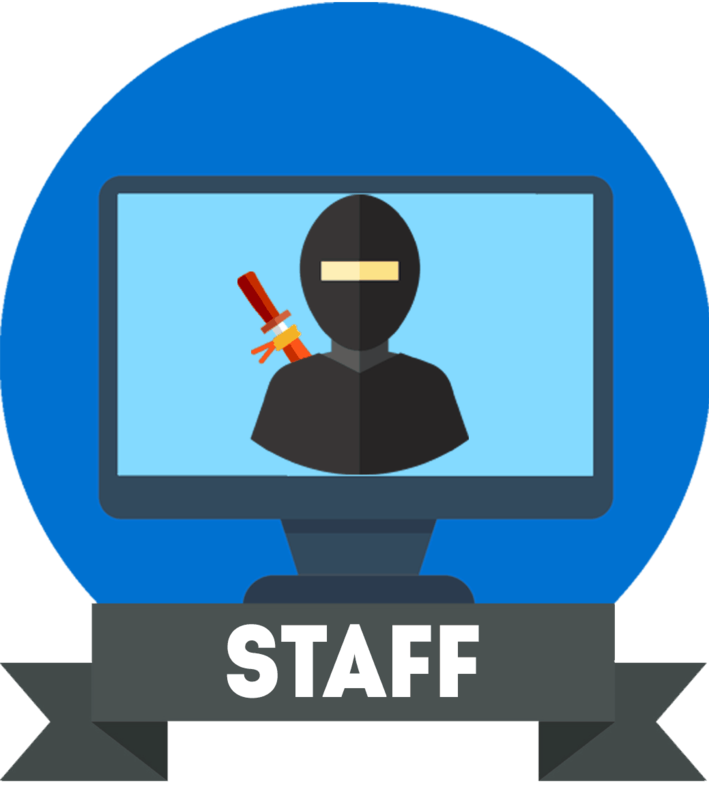 Most of the time, you won’t notice any ghosting even in fast-paced games, however, as soon as there are more dark pixels on the screen changing into lighter shades, there will be prominent smearing and trailing of fast-moving objects. The ghosting is an expected drawback of VA panels. Some will be barely bothered by it while others won’t be able to stand it. 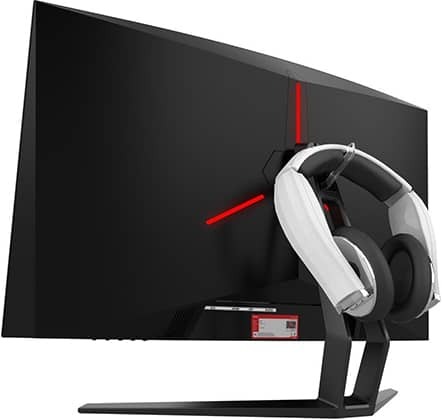 Overall, if you are not playing competitive FPS games, you should be perfectly fine with this monitor; in fact, you’d be able to fully appreciate the striking visuals and details the display delivers. 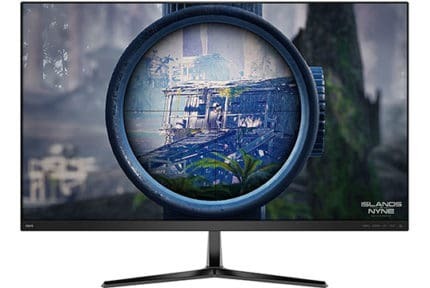 The Pixio PXC32 1440p curved gaming monitor offers plenty of useful features including Picture in Picture and Picture By Picture modes, three gamma presets (2.0, 2.2, and 2.4), FPS and RTS pre-calibrated picture presets, and four crosshairs you can place on the screen for better precision in first-person shooters. 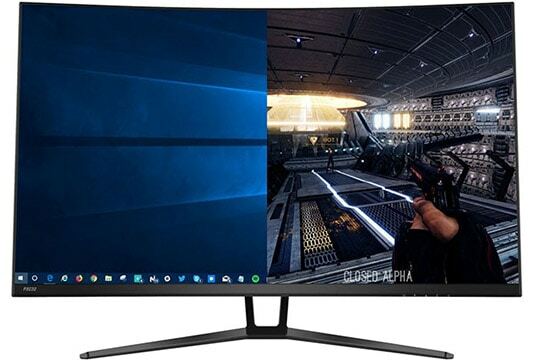 In addition, if you have an AMD FreeSync-compatible graphics card or an Xbox One, you will be able to unleash the full potential of the monitor. FreeSync synchronizes the monitor’s refresh rates with GPU’s frame rates and thus removes all screen tearing and stuttering for good. Since the monitor’s refresh rates change dynamically, there’s no significant impact on the input lag. 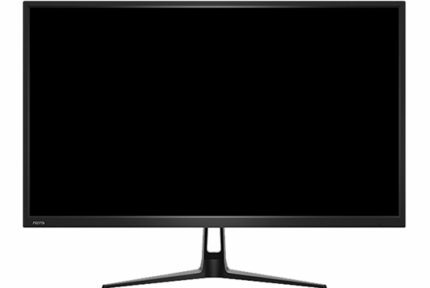 The Pixio PXC32 FreeSync range is 48-144Hz. It also supports LFC (Low Framerate Compensation) meaning that even when your frame rates drop below 48Hz/FPS, the GPU will double or triple the frames to maintain gameplay fluidity. Moving on, the design of the monitor features a headphones hook, VESA mount compatibility, and three LED strips that glow in red. The stand is tilt-only by -5/15 degrees. Connectivity includes an HDMI 2.0, a Dual-Link DVI, a headphones jack, and a DisplayPort. For 1440p 144Hz and FreeSync, use either the HDMI or the DisplayPort while the DVI port is limited to 2560×1440 at 60Hz. While the monitor is a bit hefty, the bezels are thin and ideal for a multi-monitor setup. The Pixio PXC32 price amounts to $449.99 MSRP making it the most cost-effective 32-inch 1440p 144Hz FreeSync gaming monitor available. For a similar display, with a better VA panel and less ghosting, check out the ViewSonic XG3240C. 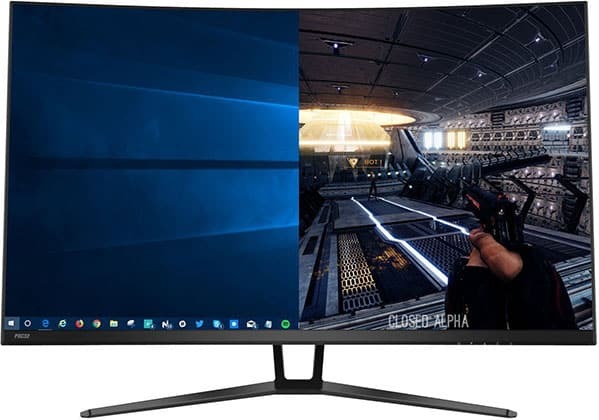 On Amazon, you will also find a similar monitor (Pixio PX325c) with a 1080p resolution instead for $100 less – and a non-curved model with a 165Hz refresh rate, the Pixio PX329. The Pixio PX277 with a slim design, IPS panel, and a wide FreeSync range, the Pixio PX277h with FreeSync 2 HDR and an IPS panel, and the Pixio PX276 with a 1ms response time speed (TN panel). Thanks to its huge curved screen, 1440p resolution, and an outstanding image quality, the Pixio PXC32 ensures an immersive and intense gameplay. On the other hand, the 144Hz refresh rate and AMD FreeSync provide responsive and buttery-smooth performance. Unfortunately, motion blur is present as it’s the case with most VA panels, but for casual gaming, it is certainly tolerable given the monitor’s price and other assets. The Pixio PXC32 is one of the most affordable 32" 1440p 144Hz curved VA-panel gaming monitors yet it offers some cool features such as FreeSync, customizable crosshairs, humble RGB lighting, and ultra-thin bezels.